You use the doors in your home every day, but you almost never actively notice them until something isn’t working properly. 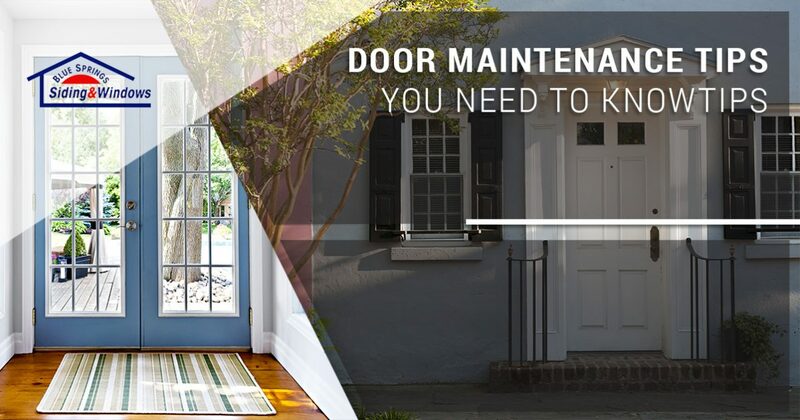 In today’s post, we’ll provide you with five effective and easy-to-implement door maintenance tips you can use throughout your home. Blue Springs Siding and Windows can help you find the perfect replacement door for your home. 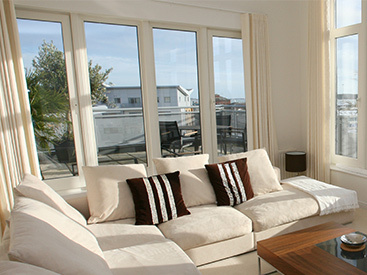 From beautiful French doors to sliding glass doors that fill your home with natural light, we have it all! Come by our showroom or send us an email to request a free door installation quote! Monitoring a door’s hardware is the easiest way to keep it working properly. If you notice that a knob, faceplate, or hinge has come loose, then use a standard screwdriver to tighten the loose components. Almost every component of your door can be replaced for an extremely affordable price, so don’t be afraid to buy something new if you’re continuously having problems with a certain part! If you feel a draft coming from a door that connects your home to the outdoors, then check the weather stripping for cracks and holes. You don’t want anyone in your home to feel uncomfortable due to drafts, and you certainly don’t want to pay for your HVAC system to work overtime! 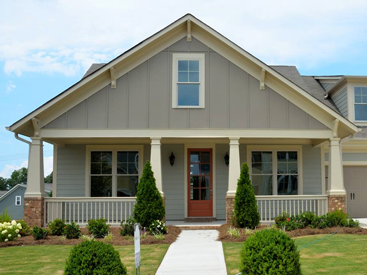 Much like your windows, your doors are an important part of your home’s curb appeal. 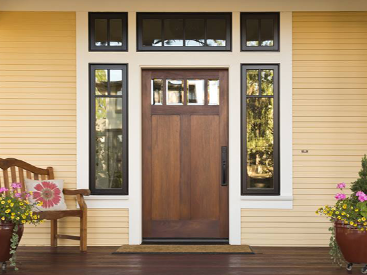 While the doors throughout your home may not have scuff marks or visible dirt, your entry door almost certainly will. You can use a mixture of warm soap and water to clean any dirt and grime that has built up, but make sure that you dry the area with a soft towel to protect the paint! Storm doors serve a variety of useful functions. In addition to providing your home with an extra layer of security, they also protect your entry door from damage. It’s no secret that the weather here in Kansas City can be harsh throughout the year, and you don’t want to have to invest in an entry door installation every few years. If you’ve been considering purchasing a new storm door for your home, then come by our showroom to view our unparalleled selection. There comes a time when replacing a door is more cost-effective than repairing it. 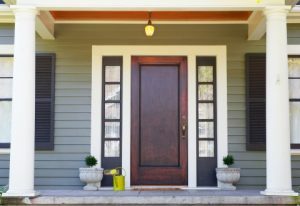 Maybe you have a door that warps and gets stuck when the weather changes, or perhaps your entry door is more of an eyesore than anything else. While we understand that this can be a difficult decision to make, a door installation can significantly improve your home’s aesthetic appeal while also relieving you of an ongoing problem. Just as our experts for more advice about your specific circumstances! We hope that today’s post will help you maintain your entry door throughout the year. Stay tuned for future posts in which we’ll continue to provide you with more tips and helpful home improvement resources. Blue Springs Siding and Windows provides a number of different door installation options for residents in Kansas City and the surrounding areas. Whether you need a new entry door, a beautiful set of French doors for your master bedroom, or a sliding glass door for your patio, we’ll help you find the right product for your home. We even offer an industry-leading lifetime warranty on all of our products and installation services! Fill out the form below for a free door installation estimate. We look forward to speaking with you!